Alarm bells rang inside the Panamanian law firm Mossack Fonseca 11 days after the worldwide ‘Panama Papers' scandal broke. The April 2016 leak of its internal documents had just revealed companies and bank accounts it had created in tax havens for a couple close to former Venezuelan President Hugo Chávez. Mossack Fonseca staff would spent several days wrestling over how to handle their business relationship with the Venezuelans. Their discussions are part of a new leak of Panama Papers documents obtained by International Consortium of Investigative Journalists (ICIJ), which include internal communications between April 2016 and the end of 2017, prior to Mossack Fonseca going out of business in March this year. Around 4.30pm on April 14, staff in Mossack Fonseca’s legal compliance department began asking what to do with the accounts of retired Army Capt Adrián Velásquez Figueroa, Chávez’s former head of presidential palace security, and his wife, Navy Sgt Claudia Patricia Díaz Guillén, a former Chavez nurse who went on to become director of the national Treasury and the Development Fund (Fonden) between 2011 and 2013. “Media are asking about the capacity of Mr. Adrián Velásquez Figueroa to incorporate a society in the Seychelles and be the holder of a Swiss bank account,” one email asked. The first response to the email from the compliance department came three hours later from a lawyer and director of ‘Production’ for Mossack Fonseca who advised to keep it quiet. "If he himself is director and shareholder and the information in the EDD (‘enhanced due diligence’) they sent is consistent, since the company owns a bank account, in my opinion we can maintain it,” he wrote. About 20 minutes later, the director of the compliance department wrote back. "I think we should get out of it. A retired captain of the Venezuelan Army with a bank account in Switzerland ??? This smells like Chavez's money," he noted. An investigation of these new ICIJ documents by Univision News in collaboration with Armandoinfo.com in Venezuela and El Confidencial in Spain found that Velásquez created a company, Bleckner Associates Limited, in the Seychelles, using a company (V3 Capital Partners) that was set up by Mossack Fonseca. Among the documents that Velásquez filed to open the company is a client receipt from the Swiss bank BSI (Banca della Svizzera Italiana). When asked where the funds came from, he ticked the "personal savings" box. Corporate records show that Velasquez had a parallel business career, with more than five offshore companies in Panama, according to the database, opencorporates.com with interests in a bakery, construction and oil and gas industry equipment. Velásquez retired from the military in 2011 “to devote himself fully to his business initiatives in the private area,” according to his personal resume on one company website. He also worked for a Venezuelan government entity, CASA (Corporation of Supply and Agricultural Services) and for the Sovereign People's Foundation, a presidential social program funded by the state -owned oil company where his job was “to provide help to the most needy". Three days after the first email inquiry, before any decision was taken, the same employee who began the mail exchange, offered a piece of breaking news, notifying other staff that Josmel Velásquez, the brother of Adrián Velásquez, had just been arrested. Besides their family relationship, Josmel Velásquez was also a business partner in the Seychelles firm, Bleckner, and director of five more offshore firms in Panama linked to his brother. Indeed, only a couple of days earlier, on April 15, 2016, Josmel Velásquez, had been arrested along with their mother at a private airport near Caracas as they were about the leave the country. Prosecutors accused them of laundering money, though they were freed on bail, according to Manuel Varela, an attorney for the couple in Spain. The resume of Josmel Velásquez on the website of one of the companies, MJ Box Toll, also shows extensive government work. From 2003 to 2012 he was employed by the state oil and gas company, Pdvsa, holding various other posts in budget and planning, including manager of the state-owned company El Furrial in the state of Monagas state, the home of the Velásquez brothers, running its operation in the east of the country. He was hired by Pdvsa following a purge of the company by the Chavez government, which involved filling key positions with ‘pro-Chavista’ personnel. Both brothers claim to be from a "humble and hardworking" family. The father had a delicatessen and a vegetable farm. The origin of Claudia Díaz is similar. Originally from the Venezuelan andean highlands, she has said she only began to travel and get to know the world when she joined the presidential entourage as a personal nurse to Chávez, according to an unpublished book obtained by Univision. Both agencies headed by Diaz - the Treasury and Fonden - handling foreign currency in a country with strict currency controls (in force since 2003) and that have been the source of some of the largest cases of corruption. Those who have access to preferential dollars - at low cost - usually sell them on the black market at the free market price and deposit them in accounts outside the country, for example, in tax havens. On April 21, the director of the Mossack Fonseca compliance department renewed her serious concerns and warned her colleagues: "I insist that we must resign. There seems to be illicit enrichment here." The day after that comment, someone in the department sought to defend the responsibility of Mossack Fonseca in the matter and took a shot at the Swiss bank, BSI: " This all seems like a lie! The guy has a bank account and if there is illicit money, it should be the bank that realizes it, no ???? They put the burden of verification on those who incorporate the company and that they never have anything to do with the activities of the company! This really seems every time more surreal. I agree with resigning." On April 28, Mossack Fonseca finally ordered a Suspicious Activity Report (SAR) and proceeded with dumping Bleckner. The document stated that Velásquez was suspected of money laundering. Venezuelan Attorney General Tarek William Saab reported earlier this year on his Twitter account that Díaz and Adrían Velásquez were suspected of "numerous money laundering and illicit enrichment incidents that require them to appear before the competent authorities of Venezuela." 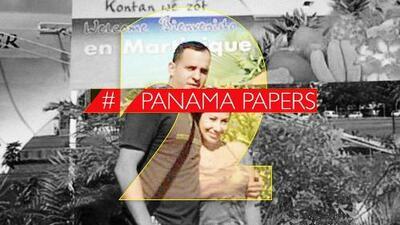 They were arrested in Spain in April this year after Venezuela filed an arrest warrant through Interpol. A confidential report from the Venezuelan Public Prosecutor's Office obtained by Univision indicates that the couple "allegedly used their public offices to obtain personal economic benefits, allowing them to acquire properties domestically and abroad." It noted that Velásquez worked for Military Counterintelligence (2005-2008) and that he held the post of presidential honor guard from 2008 until 2012, using his position to “increase his wealth disproportionately to his income." He is also accused of having made "various contracts with the state oil industry (PDVSA), under allegedly irregular circumstances." The charging document identified nine properties in total, between 2011 and 2015; seven in Panama, one in Venezuela and another in Florida (MJ Box Tool). It stated that the Venezuelan company maintained a "commercial relationship abroad with the company GPI International INC, located in Houston, Texas." The Venezuelan Prosecutor opened an investigation five days after publication of 'The Panama Papers'. He requested assistance from Panamanian authorities 23 days after the scandal broke and two days later he ordered the arrest of Velásquez and Díaz, according to the report. Their bank accounts were also frozen in Venezuela. An extradition has been filed by Venezuela before a Madrid judge and the couple are restricted from leaving the country. The couple currently resides in one of its Spanish properties while awaiting the judge’s decision, according to their attorney. Their lawyer, Varela, says Velásquez and Díaz are victims of political persecution by the government of Nicolás Maduro.